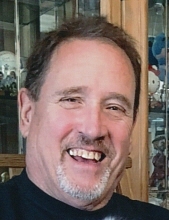 Gregory Clarence Nycholas, age 62 of Macomb, passed away January 29, 2019. He loved his family dearly. He loved racing his 2003 Cobra, he would go out to the Gingerman racetrack. His family would come and watch and cheer him on. He also enjoyed riding his motorcycle, working on his car, going to the Caesar casino in Windsor, and spending time with his dogs Harley, Boo, and Bentley. Loving husband of Dorothy; beloved father of Anthony, Emily, Leo, Ian, Noah, and Myles; dear brother of William and Michael (Judy). Gregory is also survived by many extended loved ones and friends. To send flowers or a remembrance gift to the family of Gregory Clarence Nycholas, please visit our Tribute Store. "Email Address" would like to share the life celebration of Gregory Clarence Nycholas. Click on the "link" to go to share a favorite memory or leave a condolence message for the family.